Innovation For A New And Bright World!! Embedded video for Innovation For A New And Bright World!! REM Dreamer is an Eye Mask, which is a sleep inducing mask. The product is called REM - SWAPAN, which makes one feel drowsy and therefore induces, sleep. Dreams are very important. To dream, sound sleep is essential. To fulfill our dreams visualisation is must and for that the sleeping pattern has to be normal. Children here are explaining there favourite tool- RENDERFOREST. Children of Sat Paul Mittal School, love to work in PowerPoint as it is a wonderful applications to make presentaions, documentaries and even more. Commerce children, generally have to make Project studies. So thay have found a very usel Open Source :- https://www.presentationgo.com/. It is a website which has ready made templates which can be used for making case studies, learning market place, project development nad many more. Minecraft - Children at my school were using it as a game only and while playing they have realised that Minecraft is a great pool for enhancing critical thinking and logic building. They have themselves taken an inititiative to use it in their curriculum as well. SATYAN~ NAMYA JOSHI is a wonder child of our School. She has completed 22 Google certifications at the age of 11 years. Here is one of her tutorial, explaining GOOGLE FORMS with such an ease. Hope you will like it. Google Site is an awesome and easiest way to create your own personal websit. So here is a tutorial for the same. With Google Calendar, you can quickly schedule meetings and events and get reminders about upcoming activities, so you always know what’s next. Calendar is designed for teams, so it’s easy to share your schedule with others and create multiple calendars that you and your team can use together. 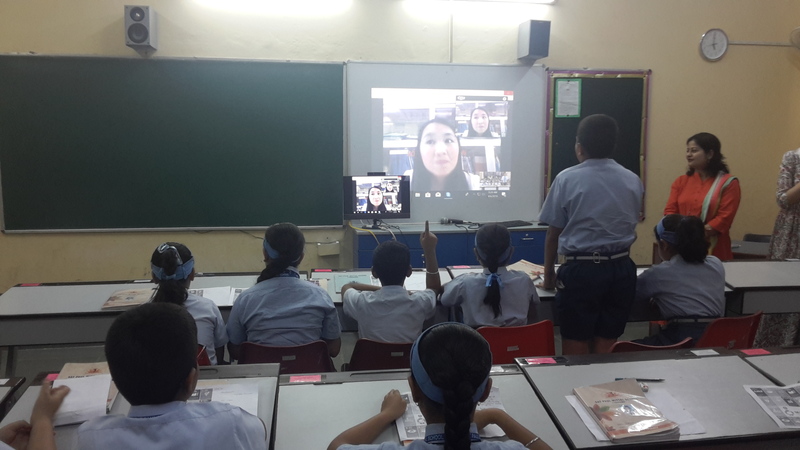 The Innovation Project-Week 4: SKYPE SESSIONS!! I am Monica Joshi, IT Head, Sat Paul Mittal School, Ludhiana, Punjab, India. As a new age teacher it is my duty to make my students equipped for the future and inculcate the skill of enquiry and knowledge building in my students.